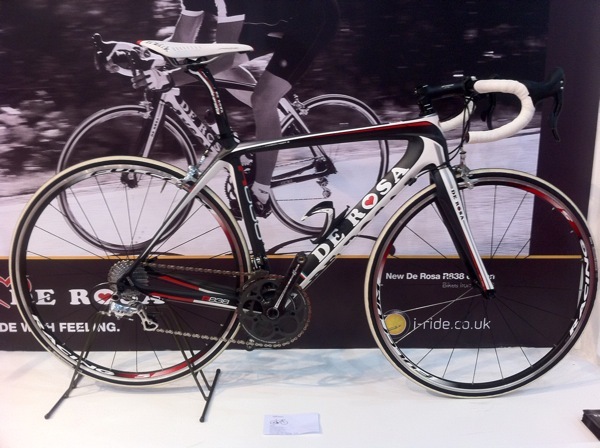 The 2010 Cycle Show at Earls Court, London, opened to the press and trade on Thursday. 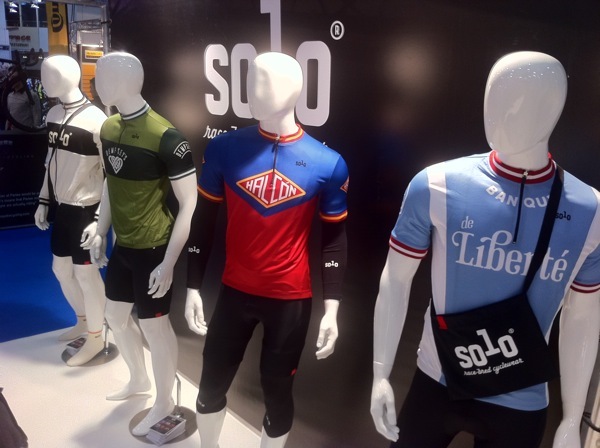 This year’s show is busier than ever, with stands packed into Earls Court representing every facet of cycling in the UK. 28,000 visitors have already booked, which is a record according to the organizer and they’re particularly proud of an increased ‘female focus’ this year. A point appreciated by this morning’s Guardian. 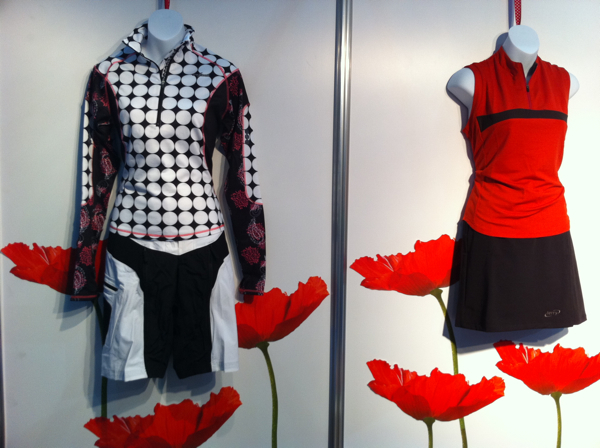 The Cycle Show opens to the public from Friday, October 8, to Sunday, October 10. More details can be found via the Cycle Show official website. 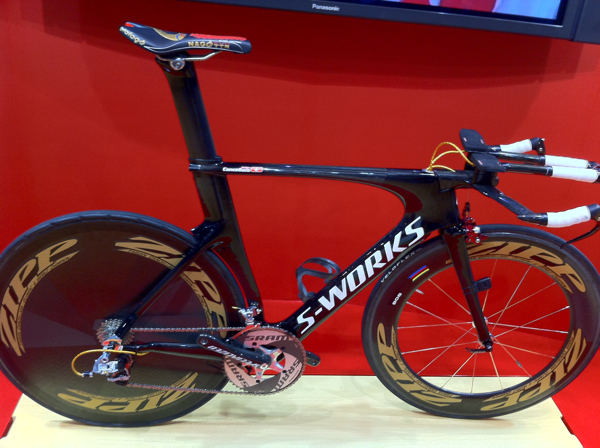 The Specialized Shiv of Fabian Cancellara. 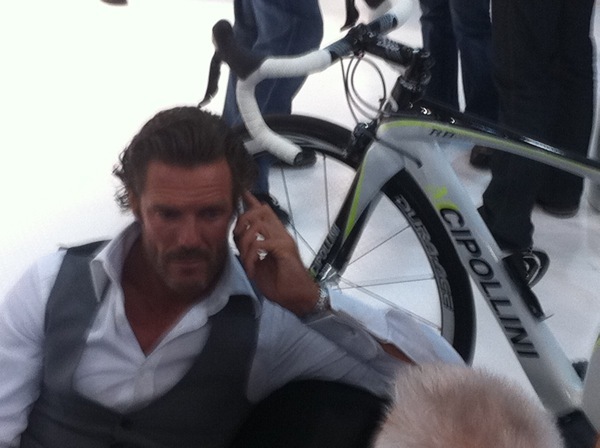 This is the UCI-legal one. 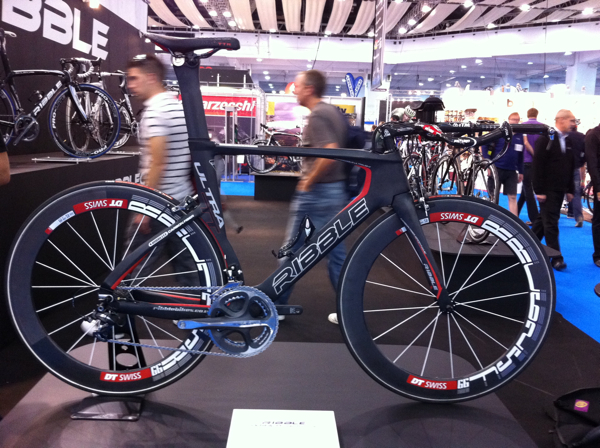 Oh no, wait…..
Ribble are showing a prototype short wheelbase time trial frame called Ultra TT which they hope to shortly offer as a complete bike starting from £1,500. The neat rubber shroud around the seat post clamp is a better job than most similar frames costing three times the price. 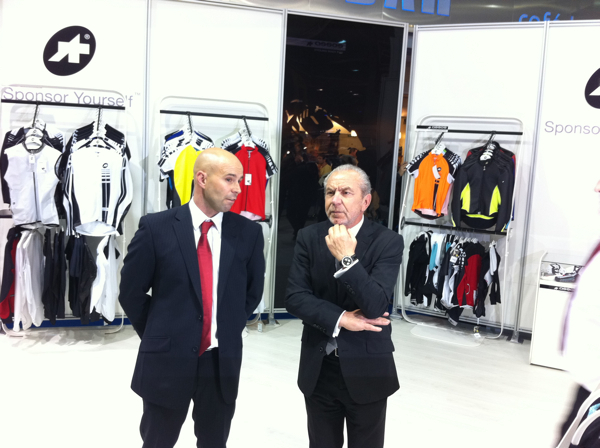 Impromptu Cycling Weekly caption competition for Lord Sugar standing under an Assos logo. 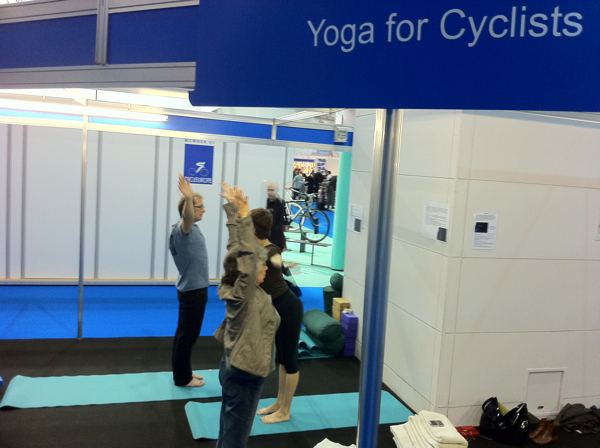 Yoga for cyclists; it definitely helps according to this instructor and she’s here all weekend to show everyone how. 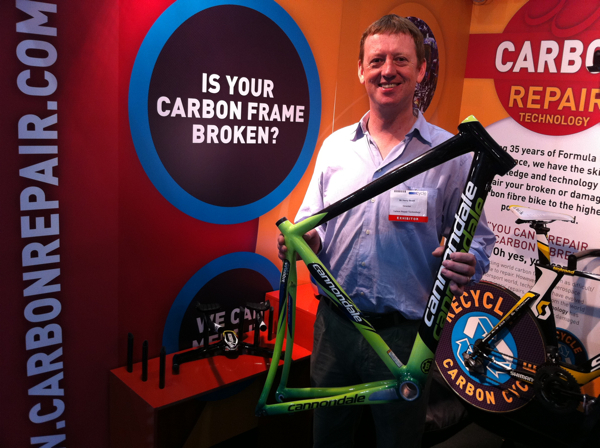 Carbon Repair Technology will charge £100-£200 for repairing and refinishing your carbon frame ‘better than new’ according to ex-Honda F1 specialist Harry Street who started his company a year ago. 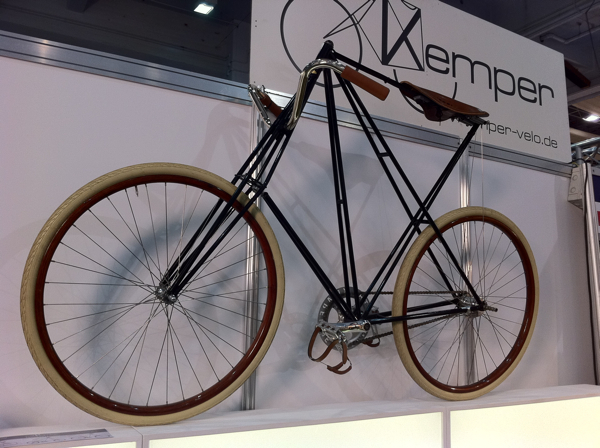 The German gentleman from Kemper will excitedly tell you that the End-to-End record for 1898 was held for a further 20 years on a machine just like this one. But we couldn’t try it. 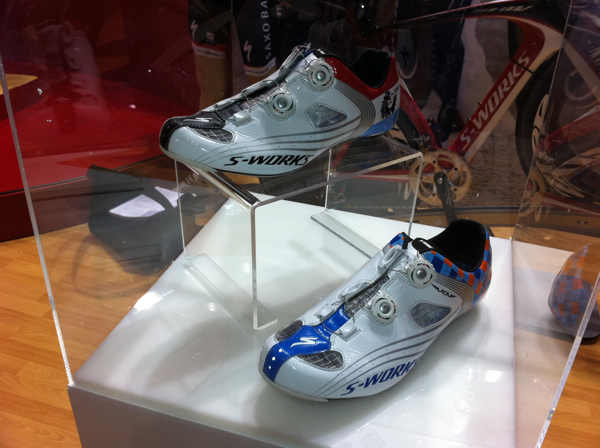 Specialized are showing off custom versions of their top-line £199.99 S-Works shoes; these two for Frank Schleck of the mystery ‘Luxembourg’ pro team and Christian Vande Velde of Garmin-Transitions or is it Garmin-Cervelo? 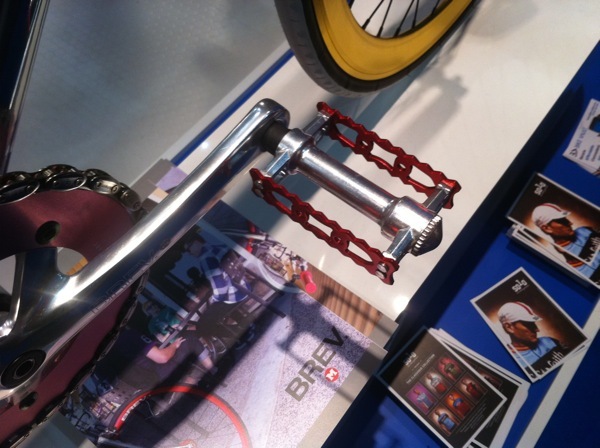 New brand Brev.M offers a range of classic ‘old school’ products including these Retro pedals modelled on an old Lyotard pattern. In a choice of anodised colours £24. 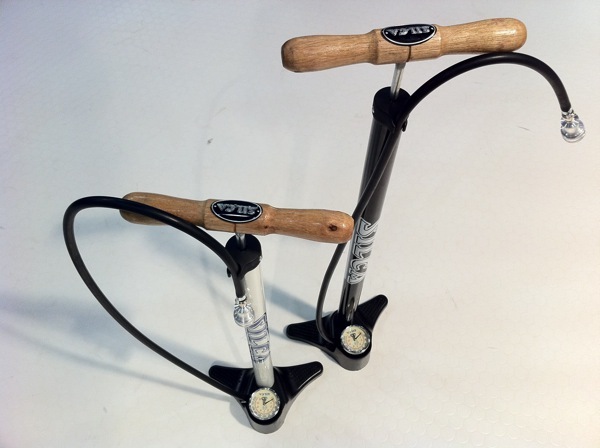 Nice to know that amongst all the technology and hoopla, Silca track pumps are still going strong and they don’t seem a crazy price at £40 or £42 for the taller, higher capacity version. Apparently, the company was started in 1915 and is now run by the founder’s grandson. 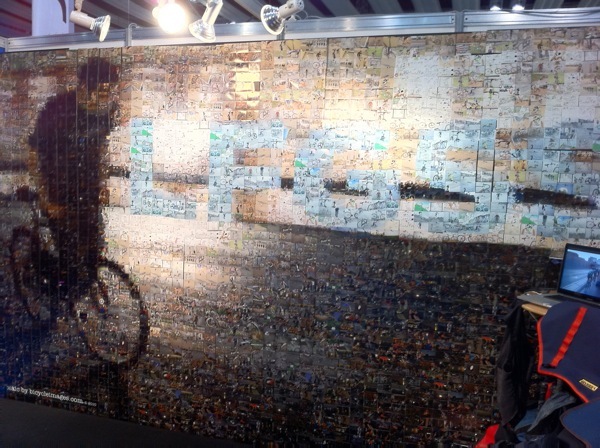 The London Fixed Gear and Single Speed Forum (LFGSS) have a mural made from 2,500 photographs of their members sent in by email and pinned up the night before the show. 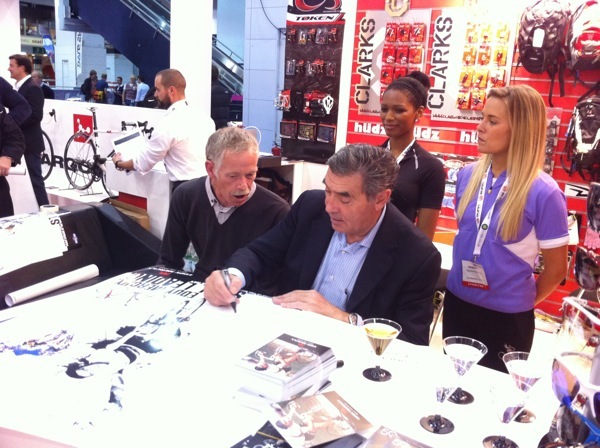 More tonight and look out for the next week’s issue of Cycling Weekly Thursday 14th October.